Vestibular rehabilitation is a complex discipline. 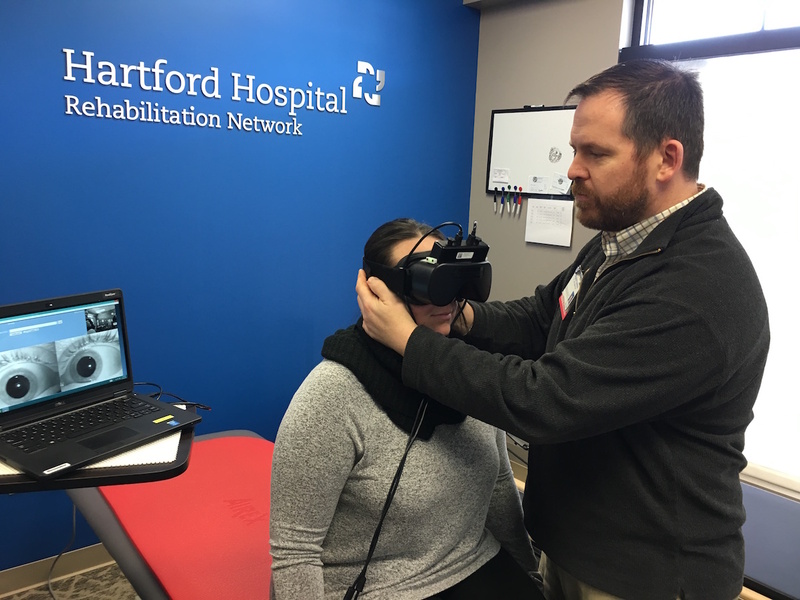 Hartford HealthCare Rehabilitation Network has a team of highly skilled vestibular therapists located throughout the state to meet the needs of patients experiencing various disorders including vertigo (true spinning sensation), dizziness (feeling off), balance problems, nausea and motion intolerance. According to the National Institutes of Health more than 85% of dizziness and balance problems are due to problems with the inner ear (vestibular system) and can have a serious effect on all facets of daily life for those affected. Rob Durbois, the Vestibular Program Coordinator for Hartford HealthCare Rehabilitation Network, explained that patients who are experiencing these problems receive a complete evaluation from their vestibular therapist in order to assess the cause of the symptoms and determine how they are affecting the patient’s overall balance, movements and function. Upon completion of the evaluation, the therapist creates an individualized care plan designed to help them manage their specific problems. Durbois said that what helps makes his vestibular program unique is the extensive collaborations it has with the larger Hartford HealthCare system, including a strong relationship with Dr. Marc Eisen of Ear Specialty Group of Connecticut.